#DiscoverNOW is our curatorial series aimed at creating awareness for emerging culture, lifestyle, and talent. Today, we are excited to profile Brandie Freely. Brandie is a hope dealer, mother, writer, musician, lover, and free spirit to say the least! We came across the amazing work of Brandie when we saw the image posted above on Instagram. One of the first thoughts which came to mind were, “What does this image represent?” To us, this image represents beauty, courage, cultivation, love, motherhood, promise, trust, and unity. What does this image mean to you? We’re happy to have come across the great work of Brandie and we hope that you are too! We’re also looking forward to seeing how great of a mother-daughter combo both Brandie and Solona grow up to be. Be sure to sign-up for updates and follow Brandie’s journey by checking out her website, brandiefreely.com. Enjoy! Loving It: The LIFT Project! Photo via The LIFT Project. We came across The LIFT Project on Wednesday, February 15, 2017 after checking out the hashtag for one of our brands, #WeLOVEHubCity. After checking out a few posts within our community, we came across Michelle Perez (thanks for supporting the hashtag). Not only is Michelle one of the co-leaders of the The LIFT Project, she is also a wedding planner based right here in New Brunswick, New Jersey! Upon looking further into The LIFT Project, we were really intrigued by both the aesthetic and style in which their message was presented. We initially came across their flyer for their 1 year anniversary conference entitled, “For The Culture” which will be taking place this Saturday, February 25, 2017 from 10 am – 3 pm at 95 Cambridge Drive in Aberdeen, NJ 07747. It definitely looks exciting! Why Do We Love The LIFT Project? We absolutely admire and love how a group of young adults are giving themselves permission to create a community based on faith and good intentions. At The LIFT Project, they seek to inspire and provoke change. In addition, they also support the journey of one another through sharing both personal experiences and aspirations. This in itself is what we would identify as the true essence of building meaningful relationships. We’re definitely looking forward to hearing and learning more about The LIFT Project as they continue to expand their brand in an effort to spread their message of strength, love, joy, and purpose. 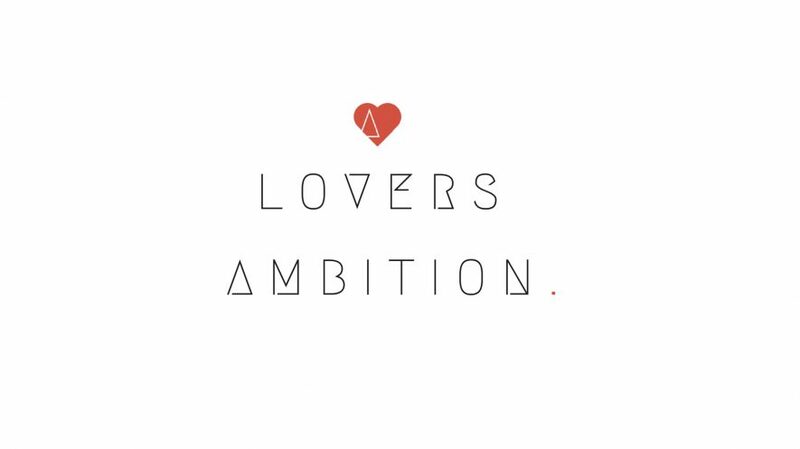 This is a message that we all certainly align with here at A Lovers Ambition Lifestyle Group. As a result, we know that with movements such as The LIFT Project, the world will continue to remain in great hands regardless of any turmoil we may have to endure. As long as we are in God’s hands, we are in great hands! Looking for a cool new glass container for your favorite beverage this spring? This is for those who are interested in escaping the plastic and saving the planet. We were introduced to “What Lola Wants”, a Women’s Fitness Shop based in France thanks to L&A (@ECWild) on Instagram and her splendid “Love. Dream. Create” Thermos pictured above. Be sure to check out their full line of products at their shop right HERE! We’re not sure if they ship to the U.S. yet. However, we’re definitely looking into that for you…We’ll keep you posted! What Can We Learn From Envy? How amazing right!?!?! This is the essence of it all! A true partnership. A spiritual journey. Divine love and connection. Sound a little too “woo woo” for you? You may want to consider opening up and digging deeper. Why settle for anything or anyone? You deserve the right to be selective with the people you choose to engage deeply with. We’re not talking about surface level relationships, I mean deep engagement. When it comes to intimacy and romantic relationships, I like to use the term “Holistic Compatibility.” I consider holistic compatibility to be a prime partnership match on many if not all or most levels. Of course, not much can be perfect. However, whatever is not operating well can still be worked on. As long as good intentions remain the case, perfection is less in the result as it is in the willingness to persist, learn, and improve. Are you interested in pursuing a career in the creative industry? Join me as I discuss the importance of research and learning how to navigate through the creative marketplace. You can do it, we can DO IT!! !